**NEW** A fine attacking blade from DONIC. Especially developed for modern, dynamic top spinners and has a soft feel when striking the ball. 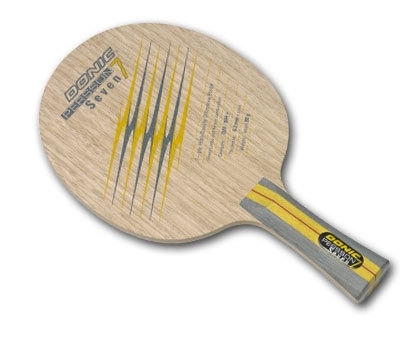 The 7-ply blade (Limba-Ayous-combination) has good feel and is very spinny. It also offers excellent control when hard top spins are required. The perfect blade for intelligent attackers who vary their game and require spin, speed and maximum feel. Control 7+ Speed 9, 90gr, 7 ply, Elasticity nearly stiff.